I’m going to be totally honest. Normally when I hear the words; ‘walk’, ‘challenges’, ‘map reading’, ‘camping’ combined with… ‘young people’ - I start to get heart palpitations. Before the Waltham Walk I didn’t really get the whole adventure thing. As a youth worker, my mind feels swamped with the idea of risk assessments, first aid, lost children and the unavoidable fact that I hate camping! But it’s strange how a few hours and some inspirational young people can change your mind. I had the privilege of tagging along to the event and spent the whole day in awe of the young people who signed up to the weekend expedition. As soon as I got out of my car I witnessed groups huddled together planning their routes (no phones in sight!) and giving each other advice about how to survive the day ahead. I then looked on as they raced against other teams, participated in challenges (some involving a river!) took part in quizzes and then at the end of the day, set up their camps and cooked their own food. The best part was watching all of this unfold whilst the young people continued to support and encourage one another. The Waltham Walk, described as ‘a challenge expedition’ is held in May every year. 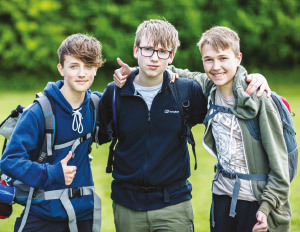 Young people from across the UK take part in a trek around Chelmsford and the Rodings whilst racing against other teams. During the walk they have to make it to different check- points and take part in various ‘incidents’ (challenges) as well as quizzes along the journey. If that isn’t challenging enough, the teams also camp out overnight, setting up their own tents and cooking their own meals. The biggest thing I learnt from my day in the beautiful countryside is that adventure is more than just ‘fun’. Yes, fun is a very important aspect of youth work... I mean if the young people don’t enjoy it, what’s the point? BUT, on top of that adventure is a wonderful tool for building up those essential life skills we want young people to develop; resilience, leadership, teamwork, independence, problem solving to name just a few. And to be able to pack all of that in over a weekend is an absolute bargain! For anyone who is like me and prefers to keep things a little more ‘dry’, I would really encourage you to explore ways to incorporate some adventure into your group. 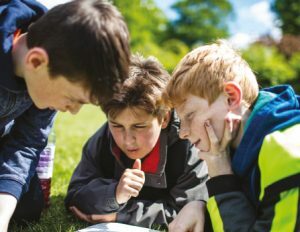 It could be as simple as going on a treasure hunt or a bug hunt - any challenges which require teamwork and strategic planning coupled with bonfires and marshmallows (!) - the point isn’t even what you do, it’s the atmosphere it creates. Thank you to the organisers of the Waltham Walk for letting me part of your day and thank you to the amazing young people who shared their experiences with me and even let me try their campfire cooked dishes! Louise resides by the seaside in Margate, Kent. She has been working with young people for over 12 years in different capacities, both in and outside of London. 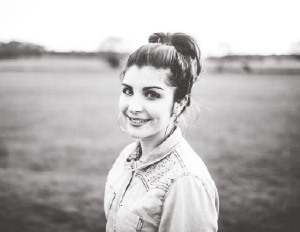 She has recently trained as a counsellor to explore how she can bring those tools into youth work. She and her husband currently serve at New Life Family Church, Margate as youth leaders. See our list of 50 ways to be adventurous!